The Miami Dolphins take their second loss since the season opener on September 9th against the Titans. They walked-in to game 4 against The Patriots with a three game winning streak pushing them to number one. 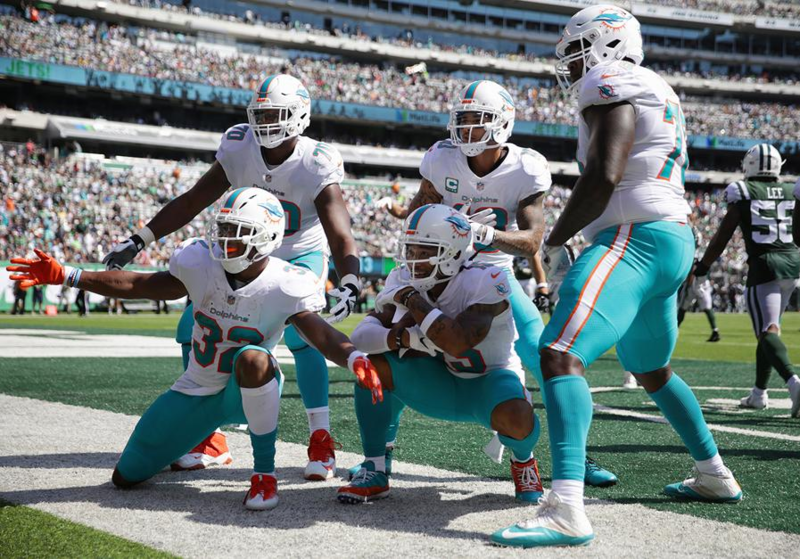 The Dolphins have shocked the media and have gained new fans and the recognition of their peers. Tannehill is back, better than ever, and in these past games has shown the fans what a real quarterback looks like. Some might say he needed that break to get his head back in the game. He has seven touchdown passes this season thus far, and lately he has shown us that he is a “real” athlete, by running the ball and by not being scared to take a hit. The greatest decision the Dolphins ever made was in recruiting Frank Gore – the best running back in the NFL, according to many. Gore leaves his mark on the field in every game he plays. He is fast and gets the ball where it needs to be. The dolphins are now 3-2, but are for sure lighting a fire under people toes with the way they are playing lately. The big question this year is will the Dolphins surprise us all and bring it home, or will they fall short and fold up in the end.